Keeping track of a drill press chuck key in a shop filled with tools, projects and let’s face it, debris, can be a challenging task. Even though it is a frequently used item, it is small, and it seems to find a way of wandering off when you need it most. The “key” to keeping track of your chuck key is to tether it to the drill press itself, so it can’t make its way into a pocket, drawer, or dust heap where it will hide out and make you crazy. So, what is needed is a chuck key holder that can attach the key to the drill press, while not interfering with operation of the chuck key or the drill press itself. 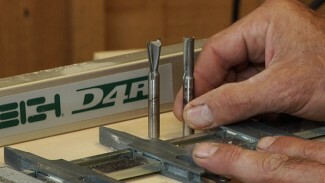 George will show you how to make a simple chuck key holder to keep track of this elusive little devil. Retractable key holder. This is like the one that your old school janitor used to have clipped to his belt to keep track of his massive collection of door keys. Attach the chuck key to the chuck key holder. 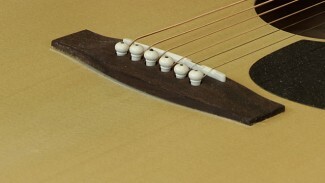 George demonstrates a simple means of making this using a lathe, a drill bit, a small piece of scrap wood and some glue. Attach the chuck key holder to the drill press. 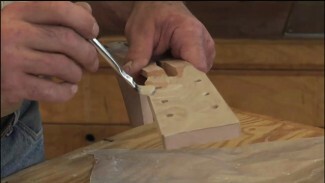 George uses a simple device available from any hardware store or home center to connect the chuck key holder in a way that it won’t interfere with the drill press operation. 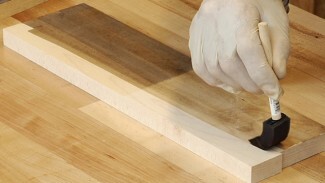 Taking simple steps like this one can make your shop a more enjoyable place to spend time. 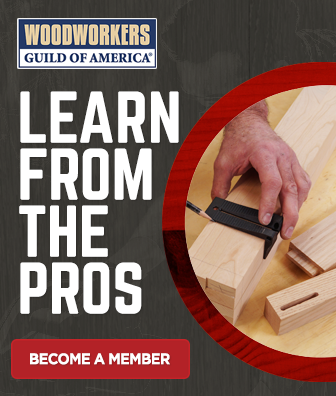 You can find a lot of other woodshop tips on the WWGOA site as well, so be sure to make it an integral part of your woodworking shop experience!